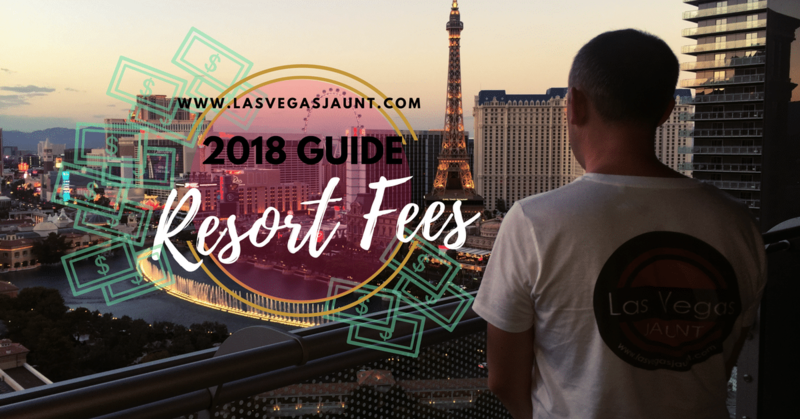 We manually checked over 100 Vegas hotels to update our resort fee list for 2018! These daily supplementary charges are not included in the initial booking cost (when booked through the hotel website or via a third party). The fees are due to the hotel at the end of the stay. In other words, you pay resort fees upon check out. In return, these supplementary fees allow you access to some of the services within the facility. For several years, these resort fees have been a source of contention as consumers believe that they are, in many ways, hidden charges. Indeed, they are managed completely independently of the quoted nightly room rate, so upon booking, the price per night offered might seem lower. Quoted prices never include resort fees, which can create confusion for the customer who finds out only when he has to pay the bill at the end of his stay. This analysis finds that separating mandatory resort fees from posted room rates without first disclosing the total price is likely to harm consumers by increasing the search costs and cognitive costs of finding and choosing hotel accommodations..
And yet, resort fees persist. When making your hotel reservations – either directly on the hotel websites or through tour operators and travel agents – we advise you to be very vigilant about resort fees in order to take them into account in your travel budget! 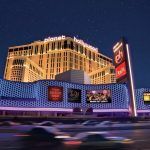 This is why we’ve compiled below the complete list of Las Vegas hotel resort fees that includes the amount charged and the inclusions. Note that the amounts are given before taxes which, at present, would add an additional 13.38%! You will notice that the highest resort fees reach $39 per night before tax, which is $44.21 including tax per night! In some cases, the resort fee can be higher than the room rate! Most of the 92 hotels listed below increased their resort fees in the recent months. Fun fact: if you would book one night in each of these 92 hotels in 2018 it would cost you $2,436.83 (+tax) in resort fees. This is an average of $26.48 per hotel! The average resort fee amount early last year was $24.38, that’s a 8.6% increase! A few hotels have not implemented resort fees yet. Here’s a list of Las Vegas hotels that do not charge resort fees as of this writing in January 2018. Two bottles of water in the room. There will also be a separate daily energy surcharge of $2.95 (plus tax). CANCUN RESORT $25 Wireless internet access. DESERT PARADISE RESORT $17 In-room wireless internet access. Access to pool, hot tub and children's splash pad. ENCORE $39 WiFi internet access for four devices. access to more than 2,000 national and international digital daily newspapers and magazines. priority access to Wynn nightclubs for tickets purchased through Wynn Concierge. POLO TOWERS $28 In-room wireless internet access. Access to rooftop pool, hot tub and children's splash pad. 2-for-1 Drink coupon valid at any Stratosphere-owned Bar. TAHITI VILLAGE $17 Free transportation to and from the Strip. Free Lazy River tube rentals. Save $5 per person per day on inner tube rentals. Free faxes (incoming and outgoing). Free use of fitness center. Open 24 hours. WYNN $39 WiFi internet access for four devices. If you find any errors in our table please let us know by using the comments below! Also feel free to share your experiences and your feelings with respect to the resort fees. Resort fees are charged per room per night no matter how many people are staying in the room! Hi Brad, the tax on resort fees (& room rate) is 13.38%. It’s sad that resort fees are getting so out of control. People are being blindsided by them at the end of their tip. What’s worse, is when you ask “what is this fee for?” They say things like the “Pool”, which tending on what time of the year you go, is closed. Why am I paying for a feature that isn’t even open? My hope would be that the public would choose 1 casino and do a picket against that casino, hurt that casinos bottom line maybe even put them out of business they might finally get it that the paying customers will no longer take it. Boycott Vegas altogether.It’s now just a complete rip-off.Home of the brave, land of the fee! If Vegas is struggling in low hotels rates to create ridiculous restore fees… just increase the room rates to include these ridiculous fees. Stop hiding behind “great deals” on rooms and piss people off by charging $30 for stuff most people don’t use in Vegas anyways such as the gym or phone… and say it includes use of the Pool when it’s closed during winter(cold) months and I gotta pay cover to get into the Let me know if u have wet bathing suits on so I give u towel to sit on. Thanx. during Summer when there’s a DJ playing music for all the OC Asians who come out every weekend. Bring the old days of Vegas when a comp meant something. Don’t get me started on the Valet…. If Vegas is struggling in low hotels rates to create ridiculous restore fees… just increase the room rates to include these ridiculous fees. Stop hiding behind “great deals” on rooms and piss people off by charging $30 for stuff most people don’t use in Vegas anyways such as the gym or phone… and say it includes use of the Pool when it’s closed during winter(cold) months and I gotta pay cover to get into the Pool during the Summer when there’s a DJ playing music for all the OC Asians who come out every weekend. I not so happy paying a resort fee and then pay another $50 to enter pool to watch a guy plug in his iPod to play his mixtape. What everyone here isn’t understanding is it’s not the hotels, casinos, resorts that are charging or the creator of of the fee it was local government impose tax. I’m not sure of all the details but remember reading a story about this. Anyways might want to look into the subject before complaining they are robbing, blindsiding, or fraudulently stealing your money. I am looking forward to visit Vegas and just learned about the resort fees. I do feel that it is sneaky way to make profit. After reading your comment about government imposing tax… I am not sure if that is why they need resort fees… and you need to pay tax on these resort fees as well…I agree with many commenters that all hotels should just add this resort fee into the hotel rate. I am sure many would prefer for example shopping for $50 + tax and know exactly how much they need to pay just $50 + tax…rather than shop for $50+tax and when is time to pay… the amount is $50 + $50 (resort fee)* 3 (night)+ tax… just imagine if we need to pay for that in regular purchase, just realize it would be great money making idea. I won’t stay a hotel that have resort fees. I don’t use any of that stuff so I should have to pay for them. The more they charge makes people have less money to play with. The greed demonstrated by the hotel operators on the strip is out of control. Resort fees, parking fees, every employee has their hand out looking for a tip, they even charge resort fees for customers who have comped rooms! Boycott Vegas and spend your money elsewhere. Go to the hotels that don’t charge a fee … one of the hotel on the strip had bed begs … so your paying to high price fee to have bed bugs in your rooms..
haha it a hotel your likely to run into them at any hotel. its part of it. WE WILL NOT STAY IN A HOTEL WITH A RESORT FEE. WE USED TO COME OUT 6 OR 7 TIMES A YEAR, NOW ONCE OR TWICE MAYBE. I PLAY POKER LOCALLY!! Resort fees are out of control. I remember when most resort fees were ONLY $5-12 per nite. Most people don’t even use most of the features. the dollar is a 3 world label. Some commnts are spot one—the market will speak. While I have no persoal knowledge of the lodging (much less LV Resort properties, I’m willing to be that $31.50/nt for a 600 sf room is going to cover fixed operating costs, so they charge more. I do object to the resort fee, and greatly prefer that it simply be a part of the nightly rate. The other compaint is that the resorts all say with a straight face, that the fees are for my convenience (sparing me the burden of a pay as you go plans for pools, etc… A final objection though to a comment: no one is blindsided by the fees. I’ve never had any doubt what I’m paying including fees and taxes before booking a room in LV. I got stung a handful of times with a Resort fee.. once at Stratosphere and later at flamingo.. I stay at Motels closer to the strip and they are far more worthy of my money.. Las Vegas is changing for the worse.. it’s all about greed. to stop resort fee, people need to stop going there. simple as that! people need to boycott and stop going to places that charge resort fees. after that their businesses will go down and resort fee will stop. In many cases the resort fee is more then the cost of the room,it just keep going up, were does it end will it be 50 dollars A night in A year or two ? I don’t stay at casinos that charge high resort fees.Just made a reservation at Mardi Gras,$5 resort fee. Airbnb good option. 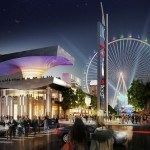 This article should have mentioned that most or all of the casinos listed that do not charge a resort fee instead charge you for WiFi in the room. To me that it still a resort fee, they’re just sticking it to their guests in a different way. Thank you Betty i will update Sunset Station to 21.99+tax! The D and Golden Gate are now $25+tax, so $28.25 total per night. anybody in Vegas to call by phone, I don’t need a newspaper for $10 and extra-paying for the Hotel-Pool is quite unique worldwide. Free parking was a reason to recommend Vegas, too – in the past! Rip-off! Poor! What’s next? A “Home-Fee” for the time you didn’t spend in Vegas…?!? I am stunned. We just got back from Las Vegas (we are UK residents) and I circled round and left two parking garages on the Strip that wanted to charge us (Bellagio and Luxor) and now I read that resort fees were going up almost as we boarded the flight home! The parking charges meant that we didn’t visit any Strip properties or Downtown properties and the gloss has gone off this town for me. I’d still fly to McCarran and stay at Sam’s Town, but only to use it as a base for touring. I think I may have seen the Strip for the last time. Sad. The Platinum Hotel resort fee is $25 plus tax. how many vegas visitors use the fitness center? 1 out of 100? ha ha. The $30 is for parking and pool use. If the yelp or tripadvisor review average is less then 4 stars I wouldnt pay any resort fees. Re: parking. Ride the monorail, bus get an uber or lyft (for short distances). Or stay, eat, visit and gamble within one mile so you can walk. Driving on the LV strip is horrible. Personally I don’t see an issue, just because it’s separated out, people seem to have an issue? Just think of it as part of the overall room cost, then make your decision based on the total price ie room + fees. It’s the same amount whether it’s separated or added to the nightly rate. $30 room + $30 resort fee, or $60 for the night, either way it’s the same…. Neil, you nailed it.While resort fees are infuriating,they are what they are! Just twenty or thirty bucks to lose at the slots. It’s completely absurd they can charge a mandatory, per night fee, and not include it in the advertised room rate. It’s an anti-consumer policy that makes price shopping all the more difficult. For the record, I don’t have a problem with hotels charging what they have to in order to stay in business, but it should be advertised as such and very clearly spelled out, not information you have to hunt for, less you get saddled with a huge surprise charge at the end of your stay. A $40/night hotel just off the strip that doesn’t have a resort fee, is VASTLY different in total cost from a $50/night one that does, even though at first glance they’re look about the same. This runs afoul of truth in advertising. I wasn’t charged anything at tropicana, I got 3 free nites including $25 in meals and $25 in game play each day. I imagine that is not available to all but usually even if you have something like this you have to pay resort fees but it was never mentioned. And free parking! I have contacted the guverneurs office and they handed my off the the tourist section at the conference centre but no one there could be bothered to respond. Las Vegas if you want international visitors to come to your great city then stop these rip off fees, as I for one will not be returning until they start being controlled and there constant increase stopped, if more people do this then it will not only impacts on casino’s but also on other local businesses, shops and restaurants, so they also need to complain. Just returned from Las Vegas, May 15-19. Resort fee at Treasure Island Casino was $41.95 per day. Ridiculous! I beat the fees at The Signature at MGM via my credit card. I recorded my desk interaction at check-in, I made it VERY clear that the card I was giving over was for incidental charges and not for the resort fees that I had no intention of paying. I made it clear, as well, that I was not authorizing any further charges. The clerk acknowledged my request verbally, which was the part necessary. I checked out without any charges for incidentals, and was charged the resort fees the day after. Capital One took all of my evidence, I was refunded 158+$ for 4 days of resort fees. **IMPORTANT** Disputing a charge and saying a charge is fraudulent, are two different things. If you do this, make sure to clarify with your credit card which one applies, as it seems the language varies. My charge was considered fraudulent in the end, based on my evidence presented. It takes a little effort, but it takes effort to earn the $158 in fees they wanted to charge for amenities I don’t use. Their fault. Please don’t be fooled by resort fees, and what the dollars are being used for. I’m a project finance person, who knows what it costs to operate a resort pool year-round, what it costs for local & long distance calls, the internet or the gym/spa. I also know what casino executives are paid in annual compensation. It’s public. Elara just started charging $25 resort fees yesterday. Arizona Charlies Boulder is now $14.99 (up from $7.50) according to their website. that you do for your room. The resort fee at treasure island as of March 2018 is $37. So, we are staying at the Bellagio from 4 September to 11 September 2018. What is the total charge we will get for resort fees including tax?? Thanks in advance. Sam’s Town Hotel & Gambling Hall has $22.59 per night resort fee. Well, it’s terrible that resort fee is higher than room rate! I go to Las Vegas twice per year (Bday in April and Xmas) then I have enough experience to balance a little bit the horrible resort fee! This year I booked at Casino Royale 6 nights with not resort fee charge $ 540.- total Then I cancelled because found 4 nights at Bally’s with resort fee include $ 282.- (the other 2 nights Friday/Sat where too expensive there) then I booked the other 2 nights at Westgate for $160.- total (resort fee inc. 80 + 80- per 2 nights RF & Monorail goes from Bally’s to Westgate, so no problem switching hotels) that means $ 442- VS $ 540.- Casino Royale not Resort fee and no nice hotel. Conclusion, don’t get the first price that you see, keep looking till you find that is good for you and your pockets. Don’t let hotels get your money for things that you don’t use. Smart planning we like that! Have a wonderful trip and good luck!!! Planet Hollywood is $46.25 in resort fees for my trip March 3-7 2019. It’s getting way out of hand. Hi Heather, thank you for the info although i just did a test on the PH website for a booking in march 2019 and the resort fee is still showing as $37/night (+tax = $41.95 tax included), did you book directly with the PH or did a third party website give you that price because it looks like it is not correct? I have boycotted Las Vegas since these fees took hold. They are nothing more than a bait and switch to trick their guests into paying more than they advertised. I’m attending a reunion there next month and am only looking at AirBNBs. These fees need to be illegal. Flamingo just charged me $39.68 resort fee and taxes. Pretty bad for a hotel like that. I guess all casinos are hurting and the slots do not pay anywhere. I suppose that raised it again this year. Please update your otherwise comprehensive information. Thanx. Just a tip, but if you have their gaming loyalty card and you gamble enough, they don’t care if you win or lose, just as long as they see activity, they’ll wave the resort fee. They give you free room offers quite often as well. Also book directly with the hotel. If you find a cheap rate on Expedia or whatever, screen shot it, and then write hotel to match it. 9 times out of ten, they’ll beat it. They’d rather not pay the third party for the booking. Silver Sevens is now $23.80 plus tax. 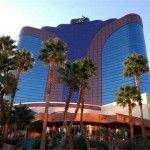 Wesley Stevens, which Indian Casinos do you recommend on the West Coast? I agree they used to be better gambling but haven’t been in years because we keep going to Vegas. We’re lucky being comped players, our fees are waived but I’ve heard of other comped players elsewhere not getting it waived. It depends on the slot host’s discretion. Thanks for any response. Part of the problem is Vegas has tightened up the machines and the odds on table games. Most Millennials don’t realize this because they have no point of reference like older players do. If they would loosen up the machines and give the players a chance, they’ll make it back in the end. The House always wind in the end. Gambling revenue is down on the Strip. Bookings are down due to the resort fees and parking fees. It’s ridiculous. Hi off to Elara next week, I booked direct with them months ago and have my breakdown list of my bill plus tax before they introduced the resort fee (paid deposit for 2 rooms) balance due on arrival, now when I check my online booking it says $25 a day resort fee due? Will I still have to pay it given they quoted me the price in full and took deposit months ago before they decided to introduce the fee? Since their resort fee didn’t exist when you booked it would not be fair to ask you to pay it now. When you check in ask to talk to a manager and show him your initial booking i beleive they should be able to waive it. I am going to Ballys in 4 weeks time. I think that on top of the resort fee $35 guests have to pay for pool loungers, parasols, fridge and coffee maker in rooms if requested. I may need to scavenge the bins in order to eat! Big shock but we have booked and paid so no chance of any cancellations here! Stop Visiting and staying at Las Vegas casinos that charge such fees …..I have delayed any future visits to Nev,L. V..until I can book.a hotel.that does not.charge such sneaky.fees……No.wonder there is a reported significant.drop off of Visitors there in media news recently. According to hotels.com resort fees are charged per night AND per PERSON! Is that really so? This is not correct, Resort fees are charged per night and per room. I have been waiting to go to Las Vegas for 22 years. My rooms are comped but my resort feed will total over 230.00 for just 5 nights. I will say this, if my rooms weren’t comped I would spend my money on an AIRBNB property instead. I will not deny myself this or any Vegas trip due to corporate greed. I don’t go to gamble or drink just see all there is to see there, hover dam, Grand Canyon, the fabulous hotel fountains and other hotel sights but after this trip I will put the money in the pockets of the people who live there.AIRBNB all the way no resort fees to stay. 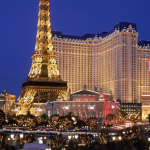 I used to visit Las Vegas twice yearly but not now – Hotels advertise cheap room rates but never mention the resort fees which are sometimes more than the room rate. They usually include free local calls which is a bit of a con since you’re on vacation so who the hell do you know locally or access to a fitness suite which you can never find or is usually closed for maintenance or deep cleaning. Worse still the fees are charged PER DAY not night so if you check out on a certain day you check out(i.e. 9 a.m.)you’re charged for that day too. I hope that soon people will realize they are getting ripped off big time and stop visiting Vegas then maybe the greedy hotel operators will scrap these hikes. I won’t be returning soon sadly. OK< the resort fees are for using the telephone, internet, gym, boarding pass service, internet etc. Everything you can take with you and NOT have to use the hotel services….YOU MAKE SURE WHEN YOU CHECK OUT THAT YOU TELL THEM TO R E M O V E THE RESORT FEES BECAUSE YOU DID NOT USE ANY OF THEM. BE FIRM AND DO NOT YELL AT THEM. KEEP CALM AND YOU KEEP TELLING THEM YOU WILL NOT PAY FOR SOMETHING YOU DID NOT USE. RAISE YOUR VOICE JUST A LITTLE BIT SO OTHERS WHO ARE CHECKING OUT CAN HEAR YOU AND GET THE MESSAGE…I DO NOT USE THESE SERVICES SO I DO NO PAY FOR THEM. They have raise the resort fees to $49.00 at most hotels and its a cheap way of raising their room rates by lying to us. DO NOT PAY THE RESORT FEES….IF YOU DID NOT USE THEM. WHEN YOU CHECK IN ASK THEM THAT YOU WANT SOMETHING IN WRITING THAT EXPLAINS WHAT IS THE RESORT FEE FOR AND WHAT DOES IT INCLUDE AND MAKE SURE YOU GET IT IN WRITING. Hi we are staying at the excalibur for 4 nights leave on the 5th day. My booking receipt has 18 dollars a day resort fee plus deposit of 20 or 30 dollars incidents charge plus 50 dollars deposit a night. But I have read the excalibur is 39 dollars a night resort tax. If don’t want to charge to my room can I not pay incidental charge. I have no idea how much extra we will need to budget for the hotel despite having package paid. I can confirm that Excalibur charges $35+tax/night for the resort fee. For 4 nights you’re looking at $158$ tax included. We will place an authorization against this account to cover applicable charges for room, taxes and resort fees, as well as a $50 incidental amount per day to allow you access to room charging privileges and may result in additional authorizations should your charges exceed the originally approved amount. they wouldn’t call themselves sin city if they don’t pull up a cunning and sinister plan like the resort fees won’t they? Found a really good deal on flight to LAS, ditch my plan after seeing those ridiculous fees. Haven’t been back since 2008, would like to visit again if it’s a fairer game. According to their website today • $25.58 plus tax Daily. “According to their website today • $25.58 plus tax Daily.” This, two posts above, was meant to reply to a post from two months ago about Silver Sevens. Lucky Dragon is permanently closed. Sad to say Vegas is no longer a cheap vacation. I see I could go to a resort in Mexico for 7 days for about $900, all inclusive.My trip to Vegas is going to cost $720 (New York-New York) for 4 days not including food or drinks. This will be my last trip to Vegas. I used to come to Vegas 2-4 times a year, now I may go every 2-3 years, and that’s only if someone asks me to join them. There are so many casinos around the country now, that I enjoy places like ew Orleans and Biloxi just as much. I can gamble anywhere. I’ve seen everything that is unique about Vegas. The resort fee was the last straw for me. It was a nice get away, but not now. I fell in love with the Gulf coast and the casinos, Memphis, Tunica, West Memphis. So much to see and do. Those resort fees are too much for us middle income retirees. We don’t use any of that stuff. Vegas is greedy,and they can keep their amenities, I’ll go elsewhere. Almost all hotels are charging resortfees, which I call a big ripoff and a big Scam. The resortfees are between 10,00 $ and 45.00 $ per night per room, it depends where you staying, so before you book a hotel check out the resortfees. The cheapest places to stay is in Downtown, Las Vegas Fremont Street. Free newspaper why, no one interested reading a newspaper if you are a tourist and on vacation. Additional inclusions, this is nothing so simple is that, they want you to believe that there is more. So overall the resortfees are a big Scam and a big Ripoff because no one need this and no one is going to use this , and why you should pay for something that you don’t want and not use. And be aware if you book thru a website that they not always mention the resortfees. Alcoholic beverages are exstremly expensive, for a beer on the strip you pay almost 9 $ dollar and for a cocktail between 15 and 18 Dollar, way to expensive, most people go to a convience store to get their drinks there, its way cheaper. In Las Vegas downtown in Fremont Street there is the Fremont Hotel and Casino there you get a Heineken and Corona for 3 dollar at the bar. If you going to use the public transportation be aware that the tickets that you buy in the machines on the strip or in downtown are more expensive a ticket for 2 hours cost 6 dollar, a ticket for 24 hours cost 8 dollar and a ticket for 3 days will cost you 20 dollar. If you arrive at Las Vegas Mc.Carren Airport you can take for 2 dollars a bus to Downtown Fremontstreet which is way cheaper then a shuttle or a Taxi. The 10 dollar buffets are history, if you like to go to a buffet then you should know that the prices are very high a buffet cost now beween 19 dollar and 45 dollar per person, and this is for dinner. Some buffets offerd a discount with your playerscard, the regular cards are not valid anymore, they have changed this , only cards with a high level are accepted for a discount. This is a issue that bothers me, they want you to tip everywhere and atleast 10 to 20 % of the bill. I find this very rude that they ask you, how much tip you are willing to pay, this is something that you have to decide yourself if you want to tip and how much. If peolpe ask me then I won’t tip at all. There are 2 outletmalls in Vegas, there you will find good bargains. 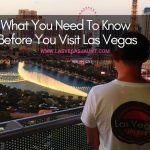 If you are planning to rent a car, or you driving to vegas, be aware that alot of hotels they charge parking fees, so before you book a hotel check out: how much the resort and parking fees are. Was looking to vacation in vegas 2019.
have not been for 15 years. Just seen and read about the resort fees . 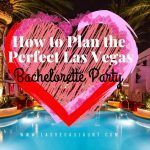 I go to Vegas most years, and I would live there if I could (I’m from the UK – happy to accept marriage proposals for an exchange 😉 ). But in seriousness, all these resort fees, and parking fees, etc, are getting out.of.control – this is what happens when most of the resorts are owned by so few companies (looking at you MGM, Caesar, Station, and Boyd). Break these companies up in half, and watch competition return back to the Strip!